Leo Renaud graduated in Medicine from the University of Ottawa in 1965. 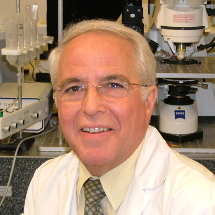 After clinical and basic research training at McGill University that included a PhD in Neurophysiology in Professor Kresimir Krnjevic’s lab, he joined McGill’s Dept of Neurology & Neurosurgery in 1973 and was based at the Montreal General Hospital. KRNJEVIC, K., PUMAIN, R. AND RENAUD, L. The mechanisms of excitation by acetyl¬choline in the cerebral cortex. J. Physiol. 215: 247 268, 1971. RENAUD, L.P., BLUME, H.W., PITTMAN, Q.J., LAMOUR, Y. AND TAN, A.T. Thyrotropin releasing hormone (TRH) selectively depresses glutamate excitation of cerebral cortical neurons. Science 205: 1275 1277, 1979. BOURQUE, C.W., RANDLE, J.C.R. AND RENAUD, L.P. Calcium-dependent potassium conductance in rat supraoptic nucleus neurosecretory neurons. J. Neurophysiol. 54: 1375 1382, 1985. JHAMANDAS, J. AND RENAUD, L.P. A gamma-aminobutyric-acid-mediated baroreceptor input to supraoptic vasopressin neurones in the rat. J. Physiol. 381: 595-606, 1986. RENAUD, L.P. AND BOURQUE, C.W. Neurophysiology and neuropharmacology of hypothalmic magnocellular neurons secreting vasopressin and oxytocin. Prog. Neurobiol. 36: 131-169, 1991.